Zambia’s parliament suspended 48 opposition lawmakers on Tuesday for boycotting a speech by the president, widening a political rift that has alarmed rights groups. Parliament’s speaker barred the United Party for National Development (UPND) politicians from taking their seats for 30 days, a move that banned them from the building and stopped their pay. Their party, which was defeated in August elections that it said were rigged, called the suspensions unconstitutional. 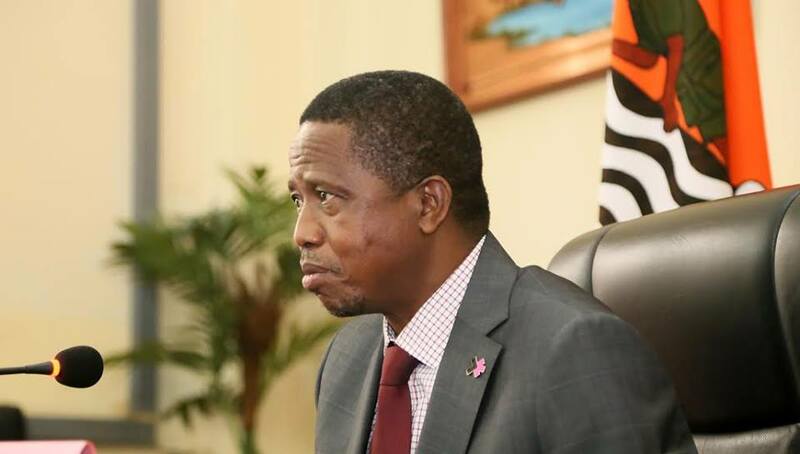 The lawmakers boycotted President Edgar Lungu’s address at the official opening of the assembly in March, saying they did not recognise him as leader. A month later, the UPND’s leader, Hakainde Hichilema, and five others were arrested and charged with treason after a column of opposition vehicles failed to make way for Lungu’s motorcade. Amnesty International has said the treason charges are “trumped up” and called for the politicians’ release. The suspensions affected 48 of the party’s 58 MPs. The remaining 10 had officially excused themselves from attending parliament on the day of Lungu’s speech and were not included in the suspension. Hichilema was moved from a prison in Lusaka to a maximum security facility outside the capital on June 9. Posted by Above Whispers on June 14, 2017.